Brian Robb has covered the Celtics and the NBA since the 2008-09 season. His work has appeared on NBA.com, CelticsHub.com, ESPN.com, and CBSBoston.com. 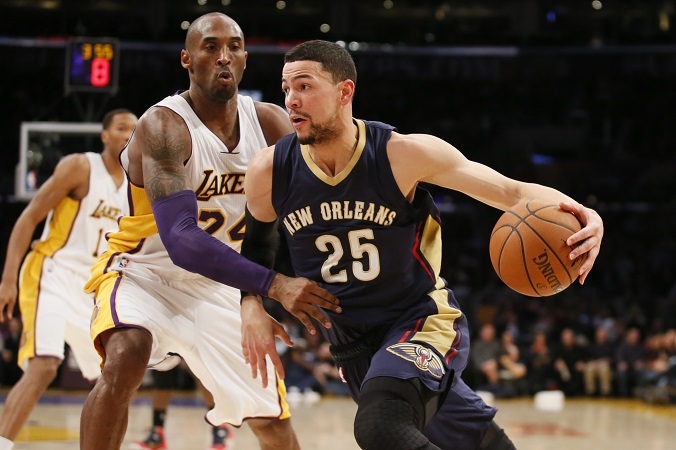 Austin Rivers officially became a member of the Boston Celtics on Monday. His career in green won't last through the week, as he appears poised to join his father in Los Angeles. Celts will send Austin Rivers to Clippers, but have to wait to clear roster space for two expiring contracts. Celtics will also get a second-round pick whenever the Austin Rivers deal gets done. Boston appears poised to clear out the additional roster spots needed to make the deal later this week. Danny Ainge is reportedly discussing a buyout already with small forward Tayshaun Prince, according to Sports Illustrated's Chris Mannix. Nate Robinson also is expected to be bought out after the team acquired him for Jameer Nelson on Tuesday evening. Rivers, 22, is the son of former Celtics' head coach Doc Rivers. He was the 10th overall pick in the 2012 NBA Draft, but has struggled during the first three years of his career in New Orleans. This season he's averaging 6.8 points and 2.5 assists per game, but has shot just 38.7 percent from the field. He will be an unrestricted free agent at the end of the season. If the deal is made official by Friday, the Celtics will have made four trades within one week.